Any online marketer worth his nickel knows that steady traffic is the lifeline of a website. So, wouldn’t it be great if your website traffic just kept getting better and better irrespective of the ever changing e-commerce trends or significant market stints? Unfortunately, no magic wand can keep increasing your Web traffic forever. As it happens, most marketers struggle to increase the number of site visitors at some point. However, there are ways to increase Web traffic and generate more leads without breaking into a sweat. Whether you are trying to hook your first prospect or the 100,000th customer, you will need to think creatively and innovatively. When you have a carefully designed strategy, it’s not that difficult to increase your Web traffic. The following four ways should certainly help. Quizzes, contests, and giveaways are a great way to give short-time boost to your traffic and generate leads instantly. When BuzzSumo analyzed the social share count of over 100 million articles over a period of 8 months, they found that 8 of the top 10 most shared articles were quizzes. 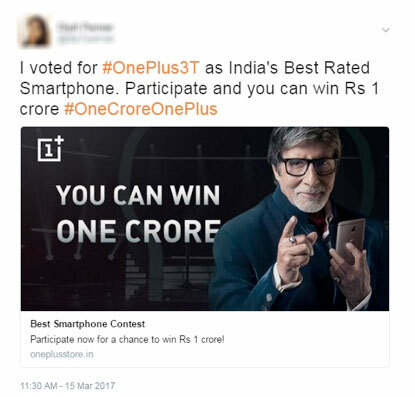 Social media platforms offer a unique opportunity to incorporate contests and quizzes in the digital realm. You don’t need to be an expert programmer or web designer to create contests, giveaways or quizzes. You can create a giveaway in minutes by using tools such as Rafflecopter or Woobox. Consider you have an online store selling bedroom accessories such as bed sheets, pillow covers, and curtains among others. You can design a contest to create a pin board for a specific occasion such as Christmas, and the winner gets a limited edition product. The only condition is participants need to choose one item on their pin board from your site. This will drive tons of traffic to your site in a relatively less time. Online contests, quizzes, and giveaways also have the potential to turn your prospects into your brand promoters as well. Facebook and Twitter are great promotional tools for any website irrespective of whether it deals in the B2B or the B2C industry. Simply set up a tracking pixel and re-engage visitors who have already visited the website once. Remarketing works impeccably in bringing return-traffic to a website. When it comes to Facebook, remarketing works smoothly with even a small audience bracket (you can work with visitor traffic as low as 100). This also applies to Twitter, where even if you don’t have an audience of 500 followers, remarketing is still smooth and easy. Both, Twitter and Facebook are great tools to reuse your email list and generate more leads. Upload the list of email accounts to Facebook and it will capture the Facebook accounts of users within seconds. These users can further be tapped through their mobile devices. Similarly, Twitter also allows you to target users through their mobile devices; however, it needs a minimum of 500 followers to allow advertising. Blogging is a great way to drive traffic towards a website. Experiments prove that increased productive blogging aids in driving more traffic towards a website. Consider guest blogging on reputed online publications such as Entrepreneur, Huffington Post, and Lifehacker, among others. Linking back from these sites can drive referral traffic to your site. You can also share your blog posts on different social media platforms such as Facebook, Pinterest, and Tumblr. Make sure your posts are easy to share. Provide sharing buttons to make it easier for your readers to share your posts across multiple social media channels. It is perhaps a good idea to set aside a budget for blog promotion. Remember, doing this may not result in immediate customer traffic, but its positive referral effect will gradually reflect in the business. Doing this may not result in immediate customer traffic, but its positive referral effect will gradually reflect in the business. Long-tail keywords are highly specific three to four keyword phrases. Online buyers are more likely to use these keywords when they’re closer to the point-of-purchase. In fact, long tail keywords make up a majority of all search traffic on the Web. They do have a low individual volume, but the collective volume is high. Though a long-tail keyword will draw less traffic compared to a more common one, you will be attracting visitors striving to acquire your product or service. That’s why, if you’re not targeting long-tail keywords, you are missing out an excellent opportunity to generate new leads. However, it is much easier and faster to find them using keyword tools such as KWFinder or Moz’s Keyword Explorer. Using long-tail keywords is a win-win because they can attract qualified traffic and the cost per click (for paid advertising) is also lower due to less competition. Generating leads and corresponding sales for an e-commerce website is a dynamic process. It requires creative thinking and testing of new strategies and solutions. Focused effort and patience are necessary to maintain the growth graph of your business in the overwhelmingly competitive e-commerce market. These four tips will help you bring plenty of new visitors to your site.